Signature silk like design creates a fluid formal attire cut mesh necklace that sits elegantly on the collar line for elegant and formal events. Pure elegance in sterling silver. 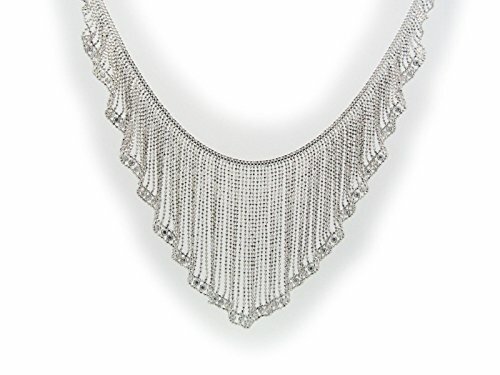 Length: This necklaces sits at the collar at approximately 14-16 inches, with a full length of approximately 19-20 inches.